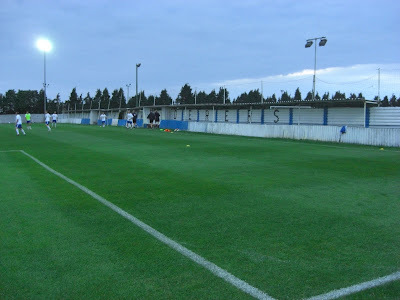 My fifty-seventh stadium of 2011 was on Wednesday 31st August 2011 at Humber Doucy Lane in Rushmere, Suffolk. The match was Ipswich Wanderers vs. Debenham Leisure Centre in the Ridgeons Eastern Counties League Division One. Humber Doucy Lane is in the village of Rushmere just on the outskirts of Ipswich in Suffolk. It is about 3 miles from Ipswich railway station though buses from outside the station take you close to the ground which has been home to Ipswich Wanderers since the club formed in the 1980s. The ground sits near Rushmere Sports Club and is just one of the many football pitches in the area. The venue is almost entirely surrounded by corrugated metal giving it an interesting look. The facilities are all located on the south-west side of the ground near the entrance. In addition to the players and officials changing rooms, there is a cosy clubhouse next to the pitch as well as the main spectator areas. These are mostly covered standing areas with one small all-seater area consisting of around 60 wooden seats. 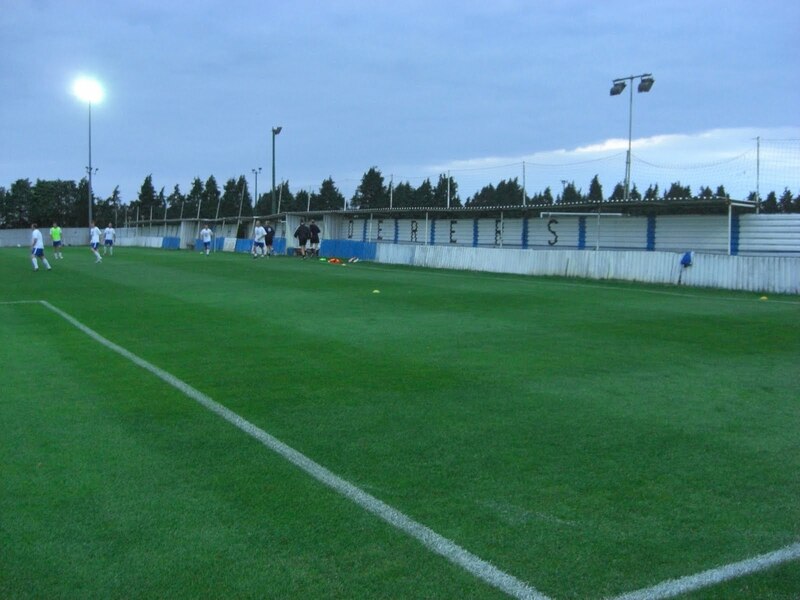 There is further covered standing areas behind the goal on the south-east side of the venue and for some of the north-east side of the venue which runs alongside the pitch. This stops just short of the half-way line to make room for the dugouts. The north-west side of the venue backs onto a field so there is no room for spectator viewing. The tall trees behind the goal on that side of the ground tend to catch any wayward shots. The game was an entertaining one right from the off as inside the first minute a long-range shot from Debenham was seemingly fumbled over the line by the keeper though no goal was given. Ipswich opened the scoring after 5 minutes when a crossed free-kick deceived everyone ending up in the back of the net. A minute later Debenham were livid when they had a man felled while he was clean through with the referee handing out just a yellow card for a clear straight red card offence. However, they did score a smart overhead kick a couple of minutes later. 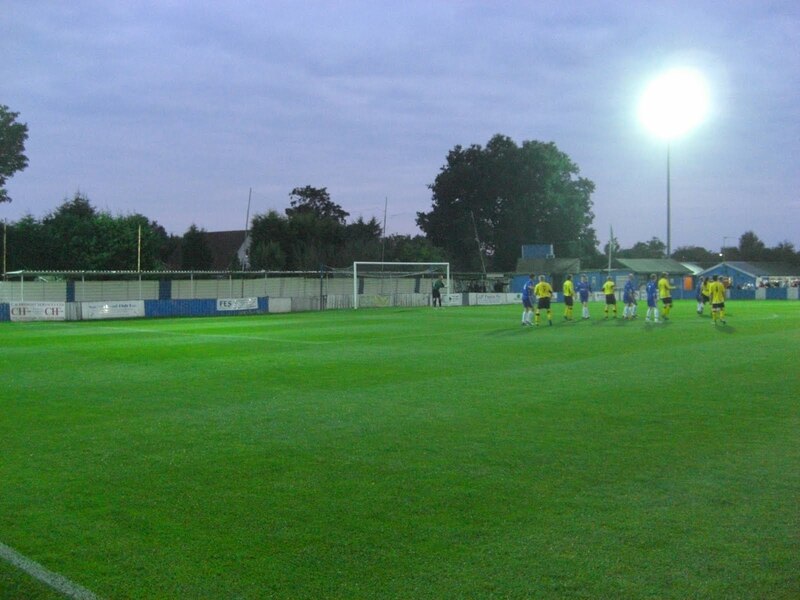 The visitors then took the lead when the ball was intercepted from a home defender and lobbed over the goalkeeper. Home fan complaints of a handball fell on deaf ears and Debenham then scored an injury-time penalty to lead 3-1 at the break. Ipswich got a goal back after an hour after sloppy defending by the visitors who quickly re-established their two-goal lead with an excellent curling finish on 70 minutes. No more goals were scored so Debenham took all three points with their 4-2 win.